Google is diving deeper into social networking. The company hasn't released a long-rumored but unconfirmed social networking platform, but it has made its search engine more social. 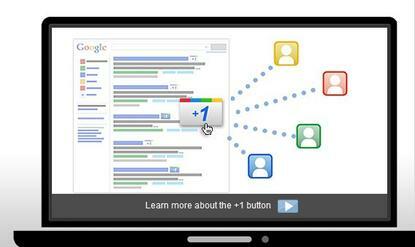 Google announced Wednesday that it is enabling users to give and get recommendations on search results. Called +1, the new service lets people share their recommendations with friends, as well as strangers. "Say, for example, you're planning a winter trip to Tahoe, Calif.," wrote Rob Spiro, a Google product manager, in a blog post. "When you do a search, you may now see a +1 from your slalom-skiing aunt next to the result for a lodge in the area. Or if you're looking for a new pasta recipe, we'll show you +1's from your culinary genius college roommate. "And even if none of your friends are baristas or caffeine addicts, we may still show you how many people across the web have +1'd your local coffee shop," he added. So how does Google search know who your friends are? According to Spiro, the search service checks to see who your Google chat buddies are and who is in your list of connections for Gmail. He added that in the future, Google might be able to check and see who your connections are on social sites like Twitter . To know whom they're connected to, users can check Google Dashboard. For months, Google executives have said they plan on making Google services, like search, more social. They're making good on that promise with +1, said Brad Shimmin, an analyst with Current Analysis. "This is like when fuel injection came out and car makers said, 'Hey, that's a better way to put gas into an engine,' " Shimmin said. "It didn't' revolutionize autombiles but it made them better automobiles. This +1 acts in the same way. It's not revolutionizing Google but it makes search a better version of itself." Dan Olds, an analyst with The Gabriel Consulting Group, said this is another sign that Google is taking the burgeoning world of social networking seriously. With companies like Facebook increasingly becoming a competitor for users' attention, as well as ad dollars, Google needs to have a strong social presence.